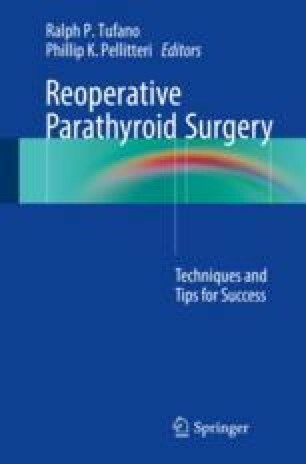 Surgery for primary hyperparathyroidism will successfully cure the vast majority of patients. However, a small number of patients will experience persistent or recurrent disease after their primary parathyroidectomy. Selecting which of these patients should undergo reoperative surgery is challenging. While the indications to proceed with surgery may be present, proceeding with surgery requires careful consideration of multiple patient and disease characteristics that impact the likelihood of success. Critically, without reliable localization information directing the surgeon, reoperation should only be conducted in patients with severe sequelae of their disease.